Don't have time to stand in line? 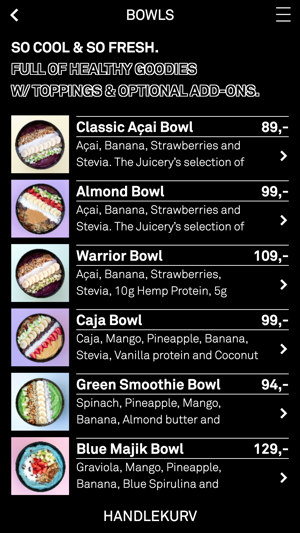 Browse through our entire menu of healthy goodness and easily order and pay through our app! 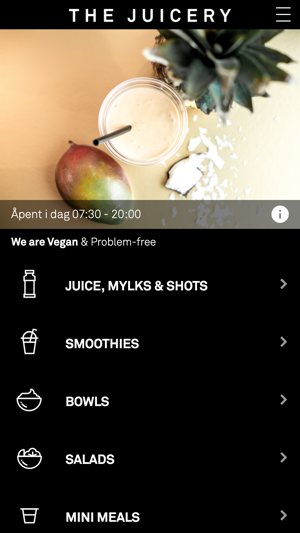 Choose the store location that you want to order from and we'll let you know when it's ready for Pick-Up! 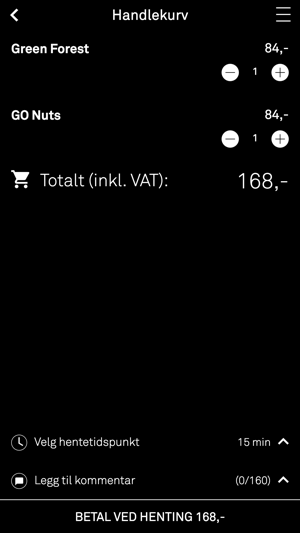 • See nearest store based on your location. • Earn points and redeem free rewards in the app. • Gift someone a delicious surprise from our menu. 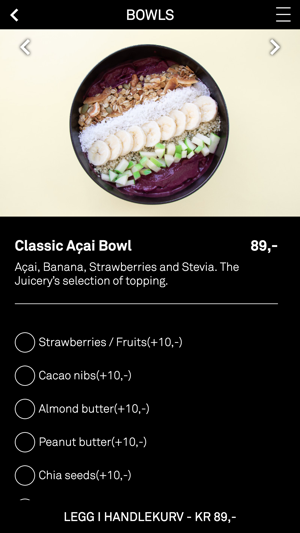 • Pay with credit card, The Juicery's gift card or Vipps! • Turn on push notifications and we'll notify you of specials and promotions!